We’ve been together for a while now, Marketing Blog readers. I’ve shared stories with you about business school, my surprise revelation that I’m an introvert, and other personal tidbits here and there. Here’s one that I hope won’t lower your opinion of me: I have a bit of a potty mouth. My first instinct is to apologize for it. But then, I came across new research that shows a strong correlation between cursing and authenticity in character. If only I had known that when I was a rebellious teen and could have retorted, as my colleague Kierran Petersen suggested, “I’m being authentic, Mom!” But it’s true — the study showed a positive connection between profanity and honesty — on both a micro (individual) and macro (society) level. I’ve seen real-life examples of this phenomenon. Gary Vaynerchuk — (in)famous for his profuse utterance of the “F” word in content and public appearances — has experienced tremendous success as a marketer. And Doug Kessler, cursing marketer creative director of the agency Velocity Partners, has given numerous presentations on the power of swearing in your marketing. So how can this whole thing be executed without risking a loss of respect? And why are we so drawn to it, anyway? We had a look at some example and research, and drew some, er, freakin’ conclusions. Note: This post was written with civility and respect in mind. Its intention is to explore the use and potential ROI of profanity in marketing, and is not meant to offend or suggest that this practice is mandatory. Like any other word in a given language, curse words have their own history and etymology. My personal favorite, the “F” word, can be traced back to the 16th century and Germanic origin, most likely stemming from the Swedish word focka and Dutch fokkelen, the translation for both of which even I’m too bashful to share. But I will say this much — if you’re really curious about the etymology of your favorite curse words, chances are, the most literal meaning is at its root. 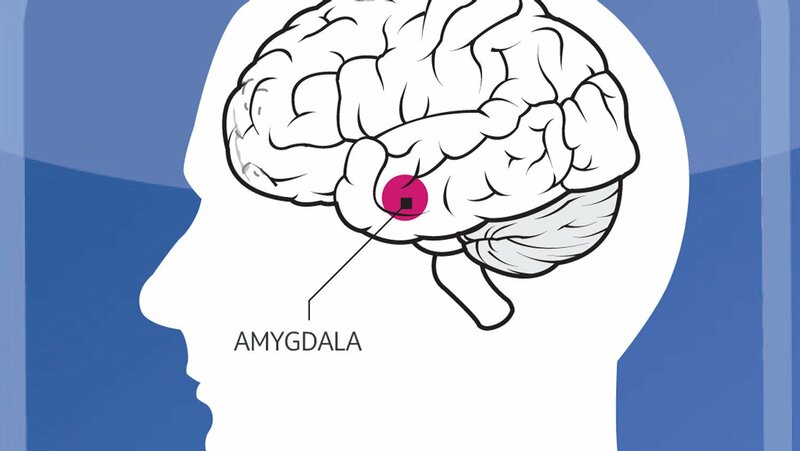 In 1999, researchers at Cornell University’s Weill Medical College were able to trace much of the psychology of cursing to the amygdala — a “mass of gray matter” in the brain that’s responsible for us experiencing emotions. When we hear profanity, the researchers realized, that part of the brain activates with the same response that we have to “linguistic threat.” In other words, we psychologically process profanity the same way we would verbal aggression. Your memory skills are improved when you hear swear words. Repeated exposure to profanity mitigates any fearful response to it. Aha! So maybe that’s the fundamental reason why we like marketers who curse — because it reaches us on a more emotional level than “non-taboo” communication and content might. So what does that look like in marketing, anyway? That’s where the groundwork laid by others comes in. This aligns with the psychology of cursing that we explored earlier, which is also why he cautions marketers against infesting their content — in whatever format — with profanity just for the element of surprise, because it’ll eventually lose its impact with repetition. And, he adds, if it’s just not in your character or belief system to curse, then don’t. But if it’s the type of thing that comes naturally to you, there are ways to navigate each of the above-listed factors to create marketing that does provide a dose of surprise — which can require some confidence — in order to resonate with a “like-minded” persona, make her laugh, and communicate the enthusiasm you have for your product. Are you starting to get the picture on why this type of language, when used correctly, can actually be a good thing? Just in case it requires a bit more detail, let’s break it down a little more. Researchers examined each state’s score next to how often their respective residents swear (based on data from a Facebook study), and found that some states where people reported cursing the most — like Connecticut — actually scored higher on the integrity scale. Compare that to Idaho, where the profanity rating was the lowest, but the state received a “D-” integrity grade. 2) It makes a brand relatable. According to Jay, up to 3.4% of the words we speak each day are profane. It might not seem like a lot, but Kessler wants us to observe something else — according to the same research, only 1% of those words are first-person pronouns, like “we,” “us,” or “ours.” In other words, we utter swear words more than we talk about ourselves. Generally, we like to use naughty language. That’s why cursing can help make a brand relatable — with these numbers, heck, that makes them just like us. After all, 66% of employees say they would curse at work if their bosses did, implying that many of us are less inclined to use such language in certain environments because we don’t want to be alone in our actions. So when someone in a position of authority — like a supervisor or advertiser — emulates our own behavior, it makes them more relatable, and even more trustworthy. 3) You might actually appear more intelligent — or at least clever. In other words, a lot of smart people — and marketers — curse. Verbal fluency is also a sign of strong wit and cleverness, which is how great content is often created. Just have a look at this ad for a smart car manufacturer. You’d have no idea that’s what the commercial is promoting until the end, but it’s cleverly intriguing, with its early use of profanity making the viewer want to see how it ends. 4) You’re injecting humor into someone’s routine. Did that commercial make you laugh? Good. It’s supposed to. Plus, as we said, its use of profanity might have motivated you to watch it through the end — otherwise, how were you supposed to know what all of those adorable children were cursing about? That’s because, according to Jay, “Forms of humor cannot be understood without examining the context in which speakers produce them.” The commercial was funny because it had context. And when profanity is used in marketing, it has to have context in order to provide humor. But it’s okay to withhold that context until the content’s conclusion to keep people watching, as long as you get to the point in a timely fashion. Plus, when you inject something funny into someone’s day-to-day routine, you’re actually giving them a sense of inclusion. Classic research indicates that “humor creates and maintains a sense of community for participating members,” so by letting viewers in on a joke, you’re expanding your relatability as a brand — which, as we covered earlier, profanity can also accomplish. But Has It Been Successfully Executed? Maybe you’re skeptical about the types of brands that have made this work. Automotive brands are one thing, especially in a somewhat contemporary category like smart cars. But what about more old-school, family-oriented brands? Believe it or not, profanity can work for marketing in that sector, too, as Kessler showed with an unexpected example: Kmart. In the ad below, Kmart leverages a colloquial curse-riddled phrase in the U.S., and uses it to promote its online shopping features. This instance is one that Kessler calls a cursing alternative, when marketers are hesitant to use curse words for fear of appearing vulgar, or looking unaligned with the brand. That can be remedied with the use of “cheats” like homonyms or asterisks — read: F*ck, or “ship” instead of, well, you know. But it goes to show that cursing isn’t one-size-fits-all. It can be customized according to each marketer’s tastes or clientele, and still be effective. So go ahead — get inspired by these tips and examples. With the right kind of strategic execution, your brand can join the ranks of successful, foul-mouthed marketers. Are you one of the cursing marketers, and have you seen success from it? Let us know in the comments.